The 1997–98 Australian region cyclone season was a slightly below average tropical cyclone season. It ran from 1 November 1997 to 30 April 1998. The regional tropical cyclone operational plan also defines a tropical cyclone year separately from a tropical cyclone season, and the "tropical cyclone year" ran from 1 July 1997 to 30 June 1998. Tropical cyclones in this area were monitored by four Tropical Cyclone Warning Centres (TCWCs): the Australian Bureau of Meteorology in Perth, Darwin, and Brisbane; and TCWC Port Moresby in Papua New Guinea. The 2009–10 Australian region cyclone season was a below average tropical cyclone season, with eight tropical cyclones forming compared to an average of 12. The season began on 1 November 2009 and ran through until it end on 30 April 2010. The Australian region is defined as being to south of the equator, between the 90th meridian east and 160th meridian east. Tropical cyclones in this area are monitored by five Tropical Cyclone Warning Centres (TCWC's): Jakarta, Port Moresby, Perth, Darwin, and Brisbane, each of which have the power to name a tropical cyclone. The TCWC's in Perth, Darwin, and Brisbane are run by the Australian Bureau of Meteorology, who designate significant tropical lows with a number and the U suffix. The Joint Typhoon Warning Center also issues unofficial warnings for the region, designating significant tropical cyclones with the "S" suffix when they form west of 135°E, and the "P" suffix when they form east of 135°E. Torrential rains produced by Tropical Cyclones Olga and Paul resulted in widespread flooding and damage in northern Australia. The combined losses from these storms reached A$508 million (US$500 million). The 2010–11 Australian region cyclone season was a near average tropical cyclone season, with eleven tropical cyclones forming compared to an average of 12. The season was also the costliest recorded in the Australian region basin, with a total of $3.62 billion (2011 USD) in damages, mostly from the destructive Cyclone Yasi. The season began on 1 November 2010 and ended on 30 April 2011, although the first tropical cyclone formed on 28 October. The Australian region is defined as being to the south of the equator, between the 90th meridian east and 160th meridian east. Tropical cyclones in this area are monitored by five Tropical Cyclone Warning Centres (TCWC's): Jakarta, Port Moresby, Perth, Darwin, and Brisbane, each of which have the power to name a tropical cyclone. The TCWC's in Perth, Darwin, and Brisbane are run by the Bureau of Meteorology, who designate significant tropical lows with a number and the U suffix. The Joint Typhoon Warning Center also issues unofficial warnings for the region, designating significant tropical cyclones with the "S" suffix when they form west of 135°E, and the "P" suffix when they form east of 135°E. The 2015–16 Australian region cyclone season was the least active tropical cyclone season since reliable records started during 1969, with only three named tropical cyclones developing in the region. Reasons for the low activity during the year included a positive Indian Ocean Dipole occurring and the 2014–16 El Niño event. Ahead of the season starting; the Australian Bureau of Meteorology predicted that there was a 91% chance that the season would be below average. As the 2015–16 tropical cyclone year opened on 1 July 2015, the newly named Tropical Cyclone Raquel moved south-westward into the Australian region. Over the next couple of days, the system meandered around 160°E and moved through the Solomon Islands, before it was last noted on 5 July. The basin subsequently remained quiet with only several weak tropical lows developing, before the first named tropical cyclone of the season was named Stan during 29 January 2016. Stan subsequently made landfall on Western Australia and impacted various commodities including oil, natural gas and iron ore. However, impacts were limited due to the low population of the region. The precursor tropical low to Tropical Cyclone Uriah developed over the Indian Ocean, within a monsoon trough of low pressure during 9 February. The system subsequently developed further and was named Uriah during 13 February, before it moved out of the region during the following day. Tropical Cyclone Tatiana developed into a tropical cyclone, during 11 February while it was located over the Coral Sea. Over the next few days, the system remained over water and dissipated during 15 February after it had produced some powerful, long period swells along Queensland beaches. After Tatiana dissipated four tropical lows occurred in the region, before the season ended on 30 April, including the remnant tropical low of Severe Tropical Cyclone Winston. The 2017–18 Australian region cyclone season was an average period of tropical cyclone formation in the Southern Indian Ocean and Pacific Oceans, between 90°E and 160°E, with 11 named storms, which 3 intensified into severe tropical cyclones. Another two tropical cyclones, Cempaka (Indonesian region north of 10°S) and Flamboyan (Indonesian and La Reunion's area of responsibility) occurred outside the Australian region but are included in the descriptions below. The season officially began 1 November 2017 and ended on 30 April 2018; however, tropical cyclones can form at any time of the year, as demonstrated by the first tropical low of the season in early August. Any tropical system that forms between 1 July 2017 and 30 June 2018 will count towards the season total. During the season, tropical cyclones will be officially monitored by one of the five tropical cyclone warning centres (TCWCs) that operate in this region. Three of the five centres are operated by the Australian Bureau of Meteorology (BOM) in Perth, Darwin and Brisbane, while the other two are operated by the National Weather Service of Papua New Guinea in Port Moresby and the Indonesian Agency for Meteorology, Climatology and Geophysics in Jakarta. The Joint Typhoon Warning Center (JTWC) of the United States and other national meteorological services, including Météo-France at Réunion, also monitored the basin during the season. The 2017–18 South-West Indian Ocean cyclone season was a below-average season that produced only 8 tropical storms, of which 6 became tropical cyclones. It was an event in the annual cycle of tropical cyclone and subtropical cyclone formation. It officially began on November 15, 2017, and officially ended on May 15, 2018, in Mauritius and the Seychelles. For the rest of the basin, the season ended on April 30, 2018. These dates conventionally delimit the period of each year when most tropical and subtropical cyclones form in the basin, which is west of 90°E and south of the Equator. Tropical and subtropical cyclones in this basin are monitored by the Regional Specialised Meteorological Centre in La Réunion. The 2018–19 Australian region cyclone season is the period of the year when most tropical cyclones form in the Southern Indian Ocean and Pacific Oceans between 90°E and 160°E. The season officially began on 1 November 2018 and will run until 30 April 2019, however, a tropical cyclone could form at any time between 1 July 2018 and 30 June 2019 and would count towards the season total. During the season, tropical cyclones will be officially monitored, by either the Australian Bureau of Meteorology (BOM), the National Weather Service of Papua New Guinea in Port Moresby, or the Indonesian Agency for Meteorology, Climatology and Geophysics in Jakarta, Indonesia. The United States Joint Typhoon Warning Center (JTWC) and other national meteorological services such as MetService, Météo-France and the Fiji Meteorological Service also monitored parts of the basin during the season. The 2018–19 South-West Indian Ocean cyclone season is the costliest season ever recorded in the South-West Indian Ocean, and the second-most active since records began in 1967, tied with the 1985–86 and 2007–08 seasons. Additionally, it is also the third-deadliest cyclone season recorded in the South-West Indian Ocean, behind only the 1999–2000 season and the 1891–92 season, in which the 1892 Mauritius cyclone devastated the island of Mauritius. Currently, this cyclone season is an ongoing event of the annual cycle of tropical cyclone and subtropical cyclone formation in the South-West Indian Ocean basin. It officially began on November 15, 2018, and will end on April 30, 2019, with the exception for Mauritius and the Seychelles, for which it will end on May 15, 2019. These dates conventionally delimit the period of each year when most tropical and subtropical cyclones form in the basin, which is west of 90°E and south of the Equator. Tropical and subtropical cyclones in this basin are monitored by the Regional Specialised Meteorological Centre in Réunion. The first tropical cyclone was a moderate tropical storm that did not receive a name formed northeast Madagascar on September 13, 2018, two months before the official start of the season. Two cyclones formed in the month of November, with Intense Tropical Cyclone Alcide forming on November 5 and Severe Tropical Storm Bouchra. Two tropical cyclones formed in the month of December, Cilida and Kenanga. Intense Tropical Cyclone Kenanga crossed into the basin from the Australian region, retaining its name assigned by TCWC Jakarta. Two moderate tropical storms formed in January, Desmond and Eketsang. Five more intense tropical cyclones formed during February and March: Funani, Gelena, Haleh, Idai, and Joaninha. In addition, Savannah crossed into the basin from the Australian basin as an intense tropical cyclone in March. Of these storms, all but Haleh and Savannah produced impacts on land, with Idai causing at least 1,007 deaths and US$1 billion in damages in Mozambique, Zimbabwe, Malawi, and Madagascar. The season set a new record of nine intense tropical cyclones, surpassing the 2006–07 season, producing the largest number of intense tropical cyclones recorded since the start of reliable satellite coverage in 1967. The meridian 89° east of Greenwich is a line of longitude that extends from the North Pole across the Arctic Ocean, Asia, the Indian Ocean, the Southern Ocean, and Antarctica to the South Pole. The 89th meridian east forms a great circle with the 91st meridian west. 90 Degrees East, also known as 90°E Lake, is a lake in Antarctica. With a surface area of about 2,000 square kilometres (770 sq mi), it is the second-largest known subglacial lake in Antarctica, after Lake Vostok. 90 Degrees East was discovered in January 2006, along with Sovetskaya. It is named after the 90th meridian east, on which it lies. The meridian 90° west of Greenwich is a line of longitude that extends from the North Pole across the Arctic Ocean, North America, the Gulf of Mexico, Central America, the Pacific Ocean, the Southern Ocean, and Antarctica to the South Pole. In Antarctica, the meridian defines the western limit of Chile's territorial claim. The land further west is not claimed by any nation. 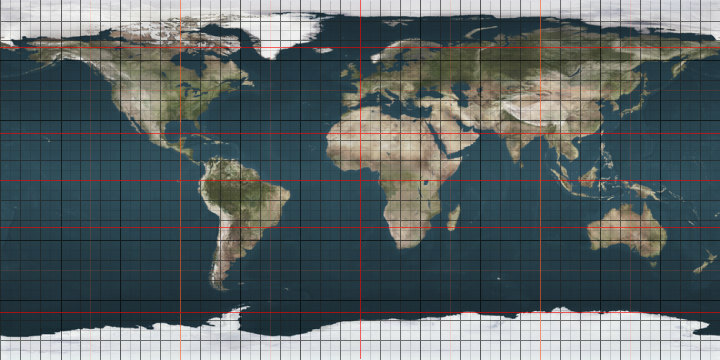 The 90th meridian west forms a great circle with the 90th meridian east, located midway between the Prime meridian and the 180th meridian; thus the center of the Western Hemisphere is on this meridian. The meridian 91° east of Greenwich is a line of longitude that extends from the North Pole across the Arctic Ocean, Asia, the Indian Ocean, the Southern Ocean, and Antarctica to the South Pole. The 91st meridian east forms a great circle with the 89th meridian west. Bombay Time was one of the two official time zones established in British India in 1884. The time zone was established during the International Meridian Conference held at Washington, D.C. in the United States in 1884. It was then decided that India would have two time zones, with Calcutta (now Kolkata) using the 90th meridian east and Bombay (now Mumbai) the 75th meridian east. Bombay Time was set at 4 hours and 51 minutes ahead of Greenwich Mean Time (GMT).However, Bombay Time was difficult to convert to Indian Standard Time (IST) after it was adopted on 1 January 1906 as the official time zone of India. During the conversion in Bombay, Bal Gangadhar Tilak, a prominent freedom fighter of the Indian independence movement was put on trial in a bombing case. With public sentiment against the government, prominent barrister Pherozeshah Mehta argued against the change. He managed to stall proceedings in the Bombay Municipal Corporation for a few days by arguing that the government did not take the people into confidence. Faced with rising public resentment over the trial, the government shelved the conversion, and Bombay Time was maintained until 1955. Calcutta time was one of the two time zones established in British India in 1884. It was established during the International Meridian Conference held at Washington, D.C. in the United States. It was decided that India had two time zones: Calcutta (now Kolkata) would use the 90th meridian east and Bombay (Mumbai) the 75th meridian east. Calcutta time was described as being 24 minutes ahead of Indian standard time and one hour and three minutes ahead of Bombay standard time (UTC+5:54). It has also been described as 32 minutes and 20 seconds ahead of Madras time (UTC+5:53:20).Even when Indian Standard Time (IST) was adopted on 1 January 1906, Calcutta time remained in effect until 1948 when it was abandoned in favour of IST.In the latter part of the nineteenth century, Calcutta time was the dominant time of the Indian part of the British empire with records of astronomical and geological events recorded in it. Willian Strachey, an uncle of Lytton Strachey was said to have visited Calcutta once and then "kept his own watch set resolutely to Calcutta time, organizing the remaining fifty-six years of his life accordingly". James Clavell, in his novel King Rat, refers to news broadcasts as occurring in "Calcutta time".